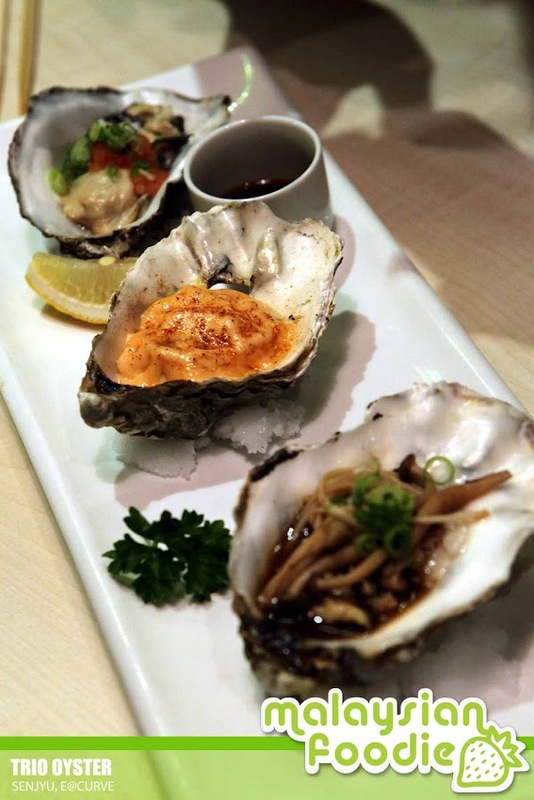 Trio Oysters is one of our favorites in Senjyu [email protected] The big oyster is indeed my favorite where comes is 3 different style of cooking which is grilled oyster with cod fish roe, live oyster ssashimi and slimmered oyster in brooth. If you love big oyster here comes the choice and this is indeed a signature meal from Senjyu itself. Salmon Sushi which is freshly prepared is simply a recommendation for sushi lovers. Aburi Shiro Maguro Mentai is another delights not to be missed. The roasted butterfish which is being glazed with the codfish roe. 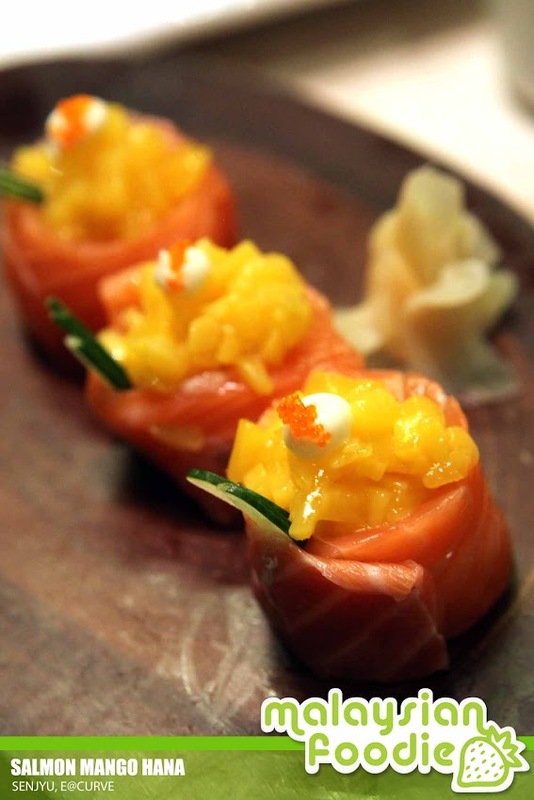 We also ordered the Salmon mango Hana where the sushi roe is topped up with the salmon and mango. The sushi is creatively done with some sweet and soury bites from the mango. 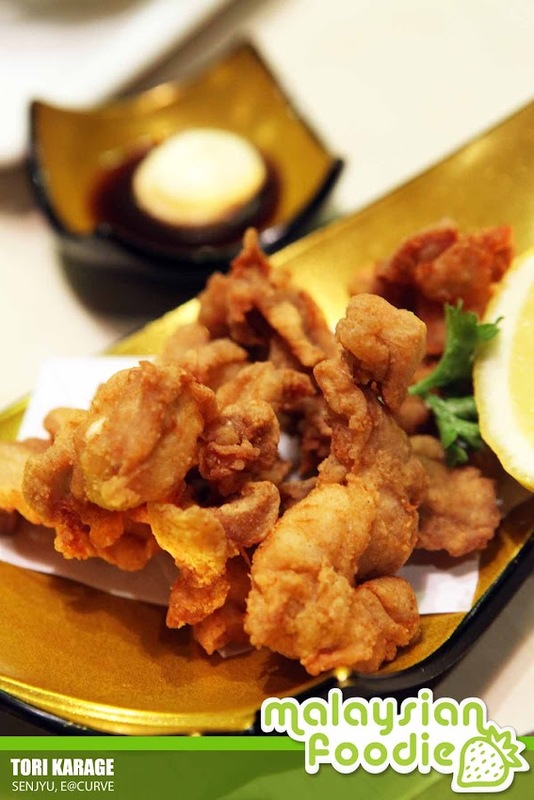 If you love some chicken bites, you may have a try of their Tori Karage which is the Japanese Style Fried Chicken. This is where the tender chicken meat is being deep fried and served with a piece of lemon and the signature sauce. 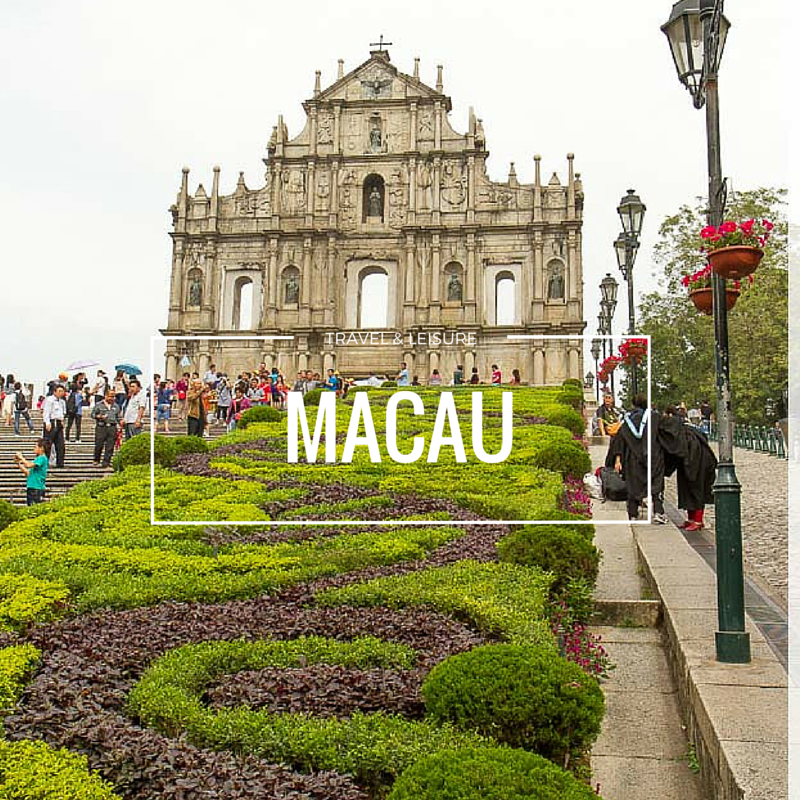 I always love Japanese fried rice and I had the seafood fried rice here. The portion is good enough for one where it is being served with the small cuts of shrimps as well squids in it . 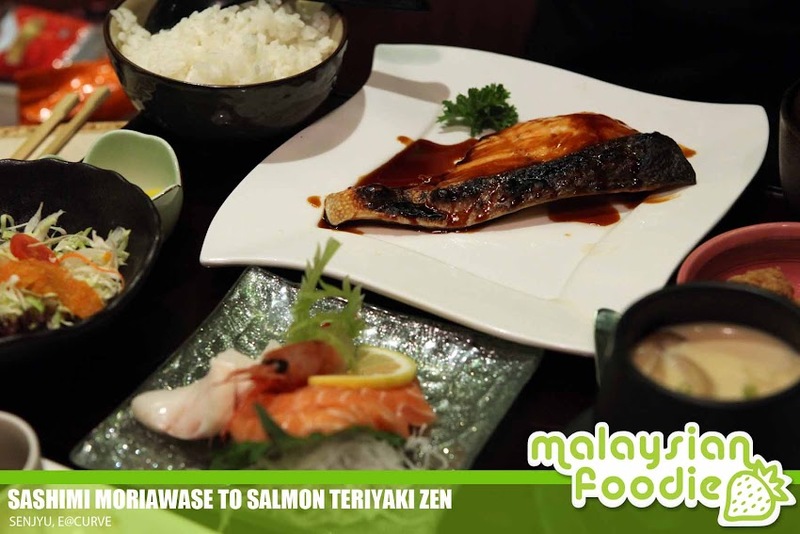 The sashimi moriawase to Salmon teriyaki zen is where there are two combination which is a plate of sashimi and another is the salmon teriyaki. 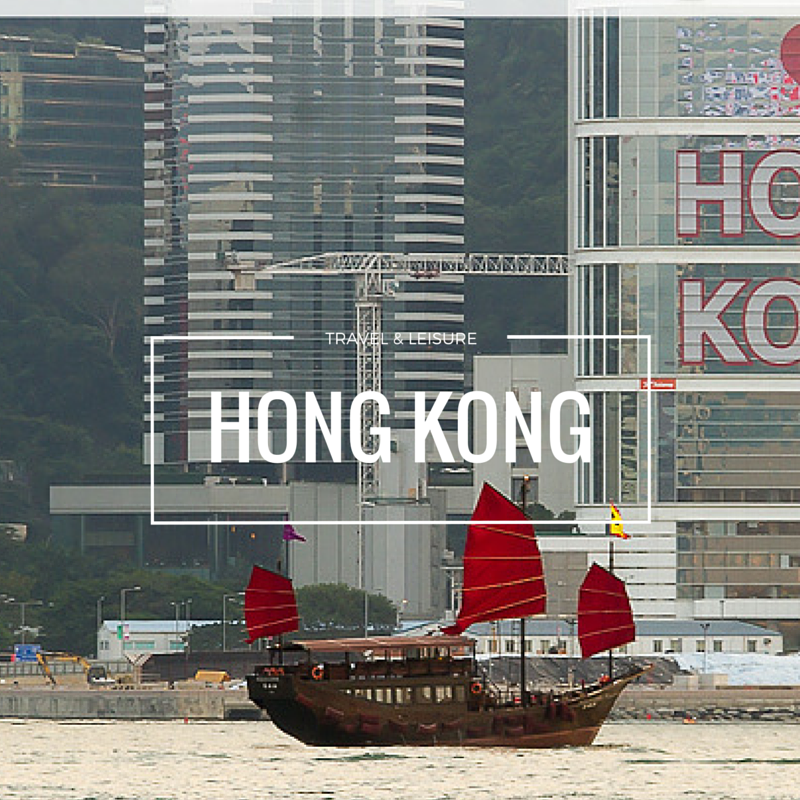 One of the items is the assorted sashimi which is the salmon butterfish and sweet shrimps. 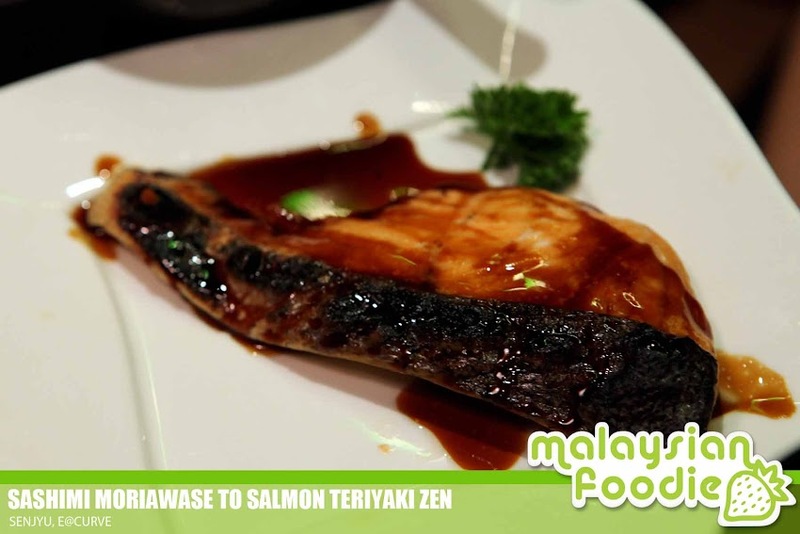 It is also being served with rice and the salmon with teriyaki sauce. 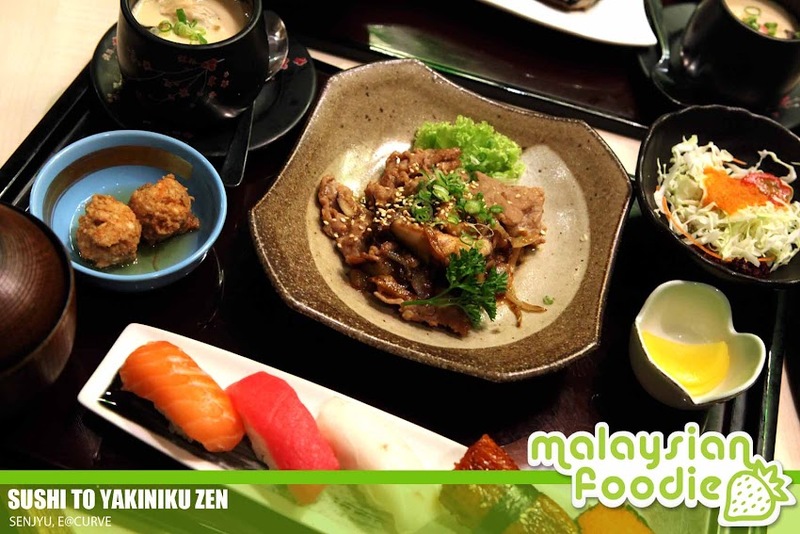 Sushi to Yakiniku Zen is a combination of assorted sushi as well as pan fried beef. 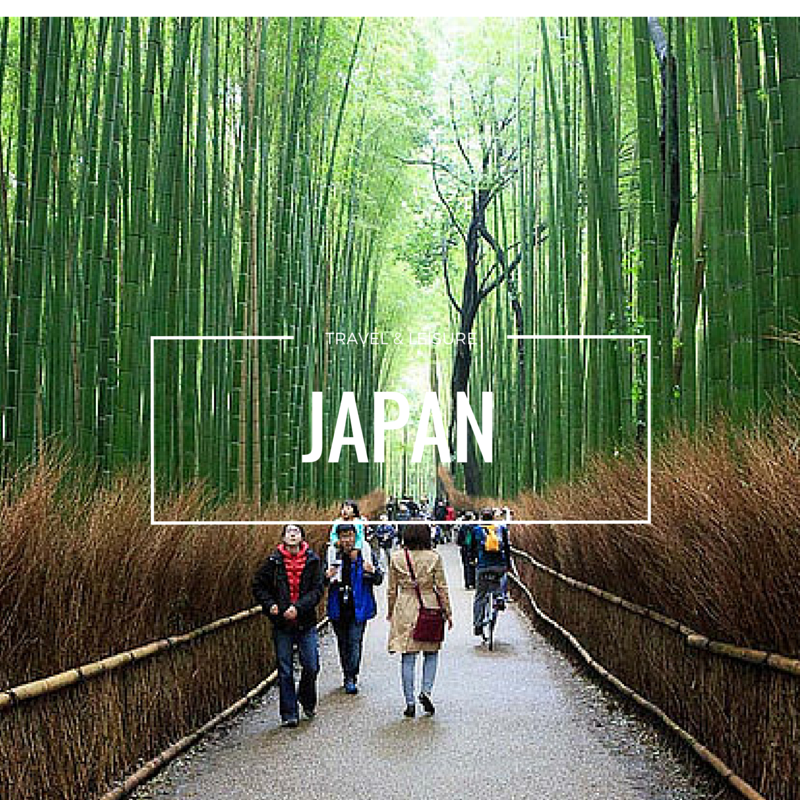 This is where it is served with assorted sushi like salmon, tuna, premium rivel eel, Japanese Omelette and Shrimp rie) an dthere is also pan fried sliced beef with yakiniku sauce to served together with it. Another of my favorite will be the saba fish beside salmon. 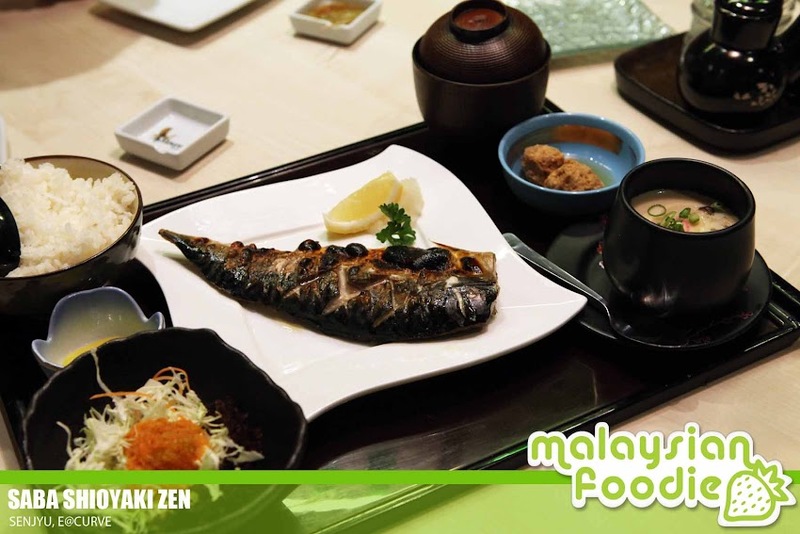 We ordered the saba shioyaki zen is where the mackerel is being grilled with salt which is really good as the ingridients are fresh.